Tiana Webberley, who was a student-athlete and kinesiology student at CSUN, does the "Cannon Ball Drop" on season 9 of American Ninja Warrior. Photo by Tyler Golden/NBC. Webberley finished as the fourth-fastest female in the 2015 American Ninja Warrior. Photo by Jordan Brown. In 2010, Webberley was named Big West Freshman of the Year. She continued to set records throughout her athletic career. Photo by Braden Villanueva and courtesy of CSUN Athletics. Webberly said that her time as a student-athlete helped her advance in American Ninja Warrior and on Team Ninja Warrior. Photo by Braden Villanueva and courtesy of CSUN Athletics. 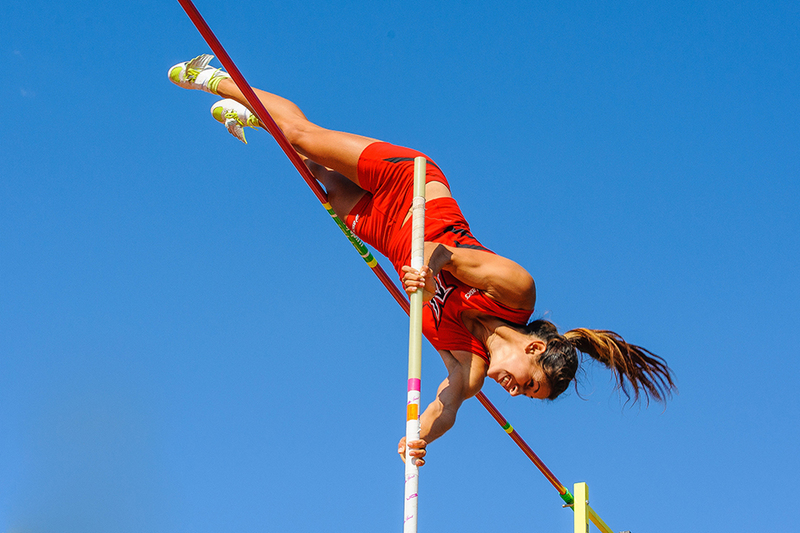 Moments before Tiana Webberley ‘14 (Kinesiology) took part in her first competition on USA Network’s Team Ninja Warrior, she flashed back to her time as a pole vaulter at California State University, Northridge. The same strength, athleticism and mental focus it took for Webberley to become a two-time Big West Conference pole vault champion were needed on the big stage as she competed against some of the country’s best athletes. 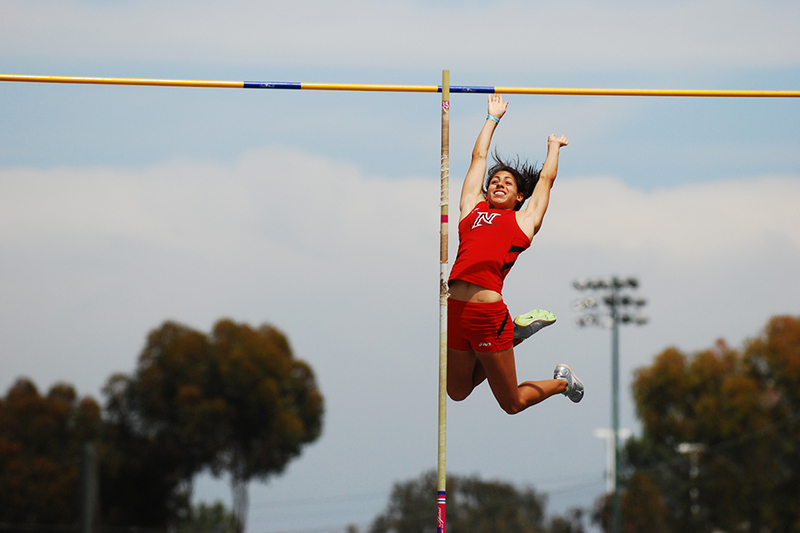 Webberley, who was named the Big West Freshman of the Year in 2010, finished her first year at CSUN as the school freshman pole vault record holder with a 12-foot, 8¾ inch leap and her senior year ended with a then-school record 13 foot, 3½ jump. The Palmdale native credited CSUN track and field coaches Bridget and Avery Anderson for helping shape her into the athlete she is today. Webberley said her interest in trying out for the Ninja Warrior series started after her dad sent her a video of former contestant Kacy Catanzaro, who gained fame on the show after becoming the first woman to conquer the 14-foot Warped Wall. Webberley sent American Nina Warrior producers a three-minute video about herself, her background and her training. 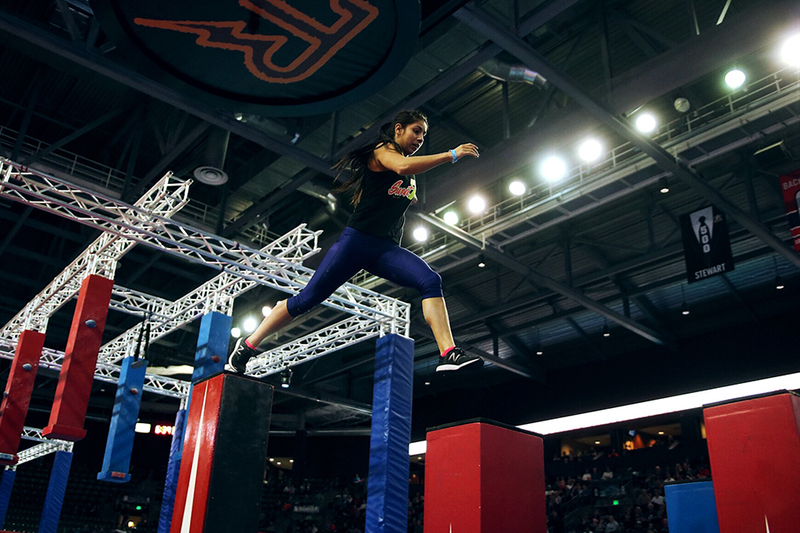 Soon after, she began training with former show contestant Flip Rodriguez — who became her partner on Team Ninja Warrior. Webberley first began competing on American Ninja Warrior in 2015, where she finished as the fourth-fastest female in American Ninja Warrior qualifiers but didn’t make it into the top 30 final stage. However, the past two seasons Webberley has made it farther each time. 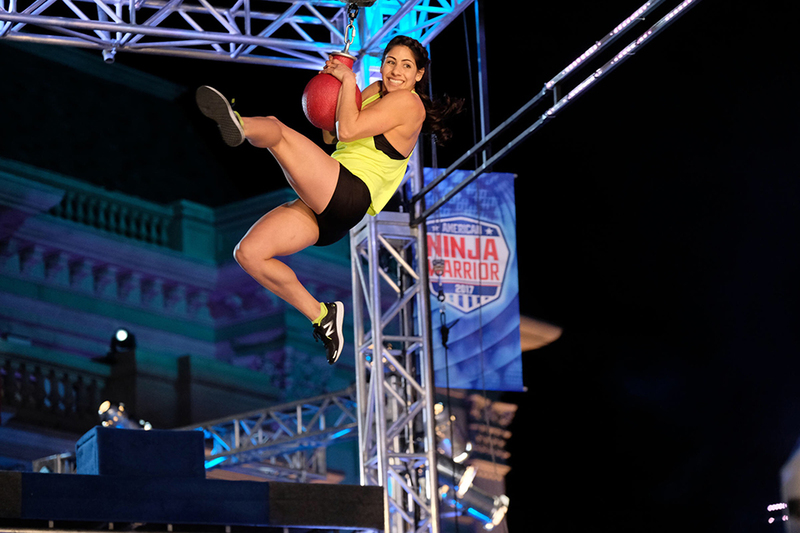 After her first stint, she soon received a call to take part in Team Ninja Warrior, where she joined Rodriguez and JJ Woods to make up Team Ronin. Besides competing on the show — the trio was one of eight teams to make it to the finals this past July — the team competes in off-show tours, which are streamed live on Facebook with prize money at stake. Webberley said the classes she took at CSUN also played a role in her day-to-day training. Webberley has found great enjoyment in competing in obstacle course challenges, but she has also started to spread her wings elsewhere. She’s pushed her body even further in 2017 by being a stuntwoman in movies such as Baywatch, Cat Dexx and Shelter. With the seeds planted at CSUN, Webberley’s athletic ability, work ethic and strength should allow her to go down many avenues in the future.